Chamblee Middle School (CMS), together with the City of Chamblee and the DeKalb County Fire Department, today announced plans for the inaugural Chamblee Fun Mudder event, scheduled for Saturday, May 2, 2015 at 8:00 am. Presented by Ed Voyles Automotive, the event is a 5K fun run, with obstacles involving mud. All proceeds will benefit the Chamblee Middle School Education Foundation (CMSEF). The 5K course begins and ends at Chamblee Middle School (CMS), winding through the Keswick Village and Sexton Woods neighborhoods. Participants will complete four different obstacles throughout various locations in Keswick Park, involving simple challenges in the mud. The Chamblee Fun Mudder is open to the community and is appropriate for kids and adults of all abilities. There will be a 3K (1.91 mile) Muddy Buddy race immediately following the Chamblee Fun Mudder, in which participants will complete the mud obstacles, but will run a shorter course. 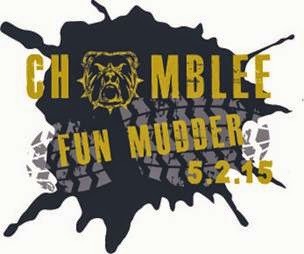 Visit www.chambleefunmudder.com for registration and information. Early bird registration: 5K-$20; 3K-$15 through March. All registrants pay an additional fee to Active.com of $3.25. After-event activities will include a stage with a DJ and music, refreshments, hose-off stations, kids' fire safety house, sponsor booths, and more. In addition to the Presenting Sponsorship, Ed Voyles Automotive is donating a two-year lease on a 2015 Kia Sorento, which is expected to raise another several thousand dollars in raffle tickets. Ed Voyle’s new Kia Dealership is currently under construction and is expected to open in the Spring of 2015. Individuals and business interested in a sponsorship may contact Thomas Hogan at thomas@hogan5.com. The CMSEF is an incorporated entity that consists of parents, teachers and community leaders who want to support our school, students and community with long term investment in excellent education and brighter futures. The mission of the Foundation is to support Chamblee Middle School’s pursuit of educational excellence within an environment that promotes parental and community involvement. The vision of the Foundation is to secure additional resources to support the school’s leadership position and pursuit of education excellence for all students. The Foundation strives to maximize its impact by encouraging collaboration between teachers, parents and community partners.